The July program page has everything you need to know (well, maybe not everything) about events on the Trails of History this weekend and in the month to come. We also have a list of sites that will be open on July 4. This week marks the centennial of the arrival of American troops in Europe following U.S. entry into World War I two months before (read more about it on the Library of Congress website). In honor of the Army's birthday, the U.S. Army Center of Military History shared a rousing rendition of George M. Cohan's 1917 hit, "Over There," by the U.S. Army Chorus. Seems appropriate here. Which reminds me - In the summer of 2015, Rachel Yerger, PHMC Collections Advancement Project (CAP) curator in the Bureau of Historic Sites and Museums, provided a guest post for Trailheads, "Stories from the Great War." In the post, she describes a collection of WWI letters at the PA Military Museum written by and about Harry Campbell and Reuben "Shorty" Rakestraw, two young men from Somerset County who served in Company C, 110th Infantry Regiment, 28th Division. It provides a bit of reality to balance the patriotic optimism of "Over There." The Anthracite Heritage Museum posted about their summer intern Amber Kelly, who is a student at Misericordia University in Scranton. The university hosts a blog where students can share their internship experiences, and Amber has already written several times about her experience at Anthracite, learning to give tours and working with curator John Fielding. Which reminds me - We frequently have guest posts by PHMC interns here on Trailheads (that's a big and not-at-all-subtle hint to this summer's interns). 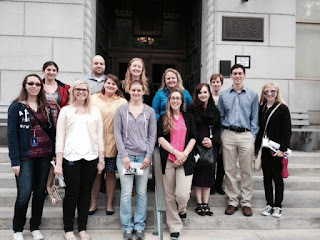 Two years ago, State Archives intern Ryan Zsifkov guest blogged about "The Pennsylvania Main Line Canal" and Corine Lehigh (who is now on staff) wrote "A Walk Through the Past" about a walking tour for the interns led by historic preservation staffer Pamela Reilly. Tuesday morning, NPR ran a story by contributor Susan Stamberg, who went behind the scenes with painting conservators at the National Gallery of Art (read text of the piece (with photos) and/or listen to the audio below). Which reminds me (you knew that was coming) - We've had a number of posts sharing info on how we take care of PHMC's many and varied collections. Here are several you may want to revisit: "Freezing History," by Lauren Jaeger, who at the time was a CAP curator and is now overseeing PHMC's transition to a new collections management database; "Textile Adventures Part Deux," by Rachel Yerger; and "Brushing Up on Industrial History," by Linda Bolla, Erie Maritime Museum. Note: This post has been updated during the day, June 23, to include more links to Trails of History sites participating in #MuseumWeek. With the summer solstice now behind us (or ahead of us if you take the long view), it's time to really dig in and enjoy the season. For some of you, that means being outdoors a lot. For others, it's about finding cool indoor activities to stay out of the heat. Or maybe you're somewhere in between. Whatever "summer" means to you, I hope that you'll have a chance to explore the Trails of History to find it. The June program page has events coming up this weekend and next week (and I've highlighted some below). The July page is now available, as well as a list (to the best of my knowledge) of Trails of History sites open on July 4. We are currently in the midst of #MuseumWeek and several sites have been posting throughout the week. 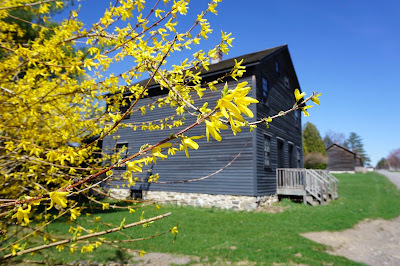 If you're not already following them on Twitter, take a look at the Railroad Museum of PA, Landis Valley Village & Farm Museum, Daniel Boone Homestead, Graeme Park, Old Economy Village, Pennsbury Manor, or PHMC's feeds to see the cool stuff they've shared. Wednesday was National Selfie Day, and the Railroad Museum was featured in an article in the Lancaster news about local places to take selfies. A blog post from the American Association for State and Local History (AASLH) about ways that history organizations are talking about environmental history included the Pennsylvania Lumber Museum's core exhibit, "Challenges and Choices in Pennsylvania's Forests." The exhibit won awards from AASLH and PA Museums in 2016. Somerset Historical Center shared photos on Facebook of their June living history weekend, which focused on life in the 1700s. Above, volunteer Gary Burkett explains to two young soccer players how flax is turned into linen (see more photos). The next living history weekend, July 8-9, will present local history related to World War I. 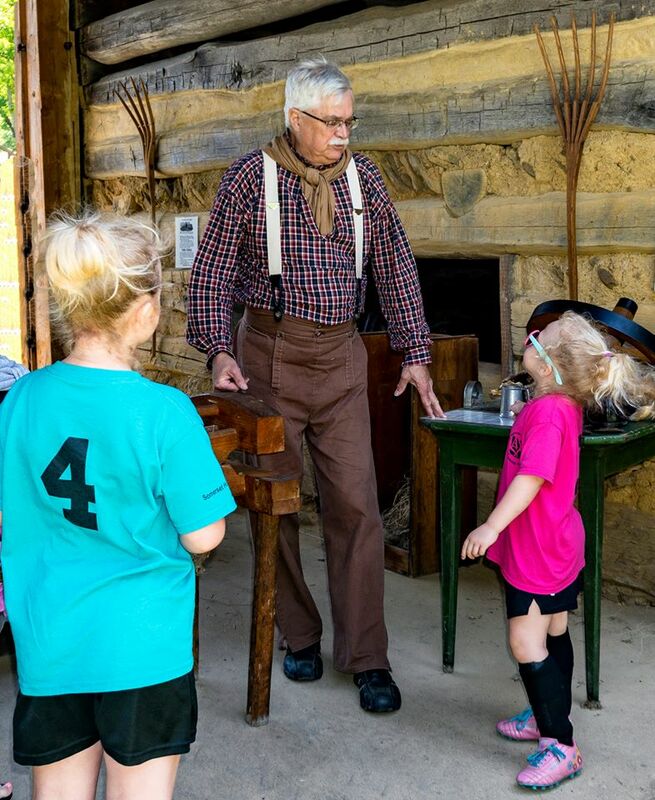 Classes at this year's Summer Institute at Landis Valley Village and Farm Museum included tours, lectures, and multi-day hands-on learning opportunities. Participants explored hearth cooking, pottery (photo above), woodworking, and working with draft horses, among other things. 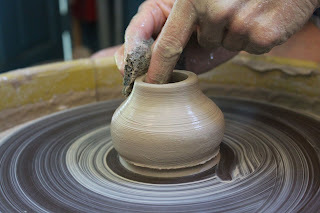 Visit Landis Valley's website for info on craft and skills classes held throughout the year. June 24: Something More Saturday—visit Historic Pithole and get a tour of the grounds (check Facebook for details). Admission charged. 10 am-3 pm. June 24-25: Patch Town Days Irish Fest—this year's program focuses on the lives of Irish immigrants to a Pennsylvania coal patch town. Music, food, dancers, and a "St. Patrick's Day in June" parade. There will also be vintage baseball games both days. Admission charged. 10 am-5 pm both days. June 24: Lecture and Book-signing—Dr. Patrick Spero will present "When Pittsburgh was Virginia," exploring various 18th-century boundary and territorial disputes in western PA and Ohio. He will sign copies of his latest book, Frontier Country: The Politics of War in Early Pennsylvania. Admission is $10 for adults, $5 for students and Heinz History Center members (please register online). 11 am-12:30 pm. June 24: Ales and Petals—bring your lawn chairs and/or picnic blankets, tour the mansion, and (only if you're age 21+) sample craft beers and ciders. Food will be available from Tonellis of Lafayette Hill and the Mason Porter band will perform from 1 to 3 pm. General admission fees apply; there is an additional $5 per person charge for beer and cider tasting (more info on website) and food is extra. Event runs 1-5 pm. 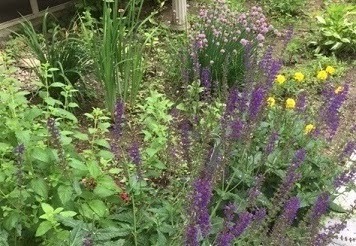 June 25: Bitters, Blubs, and Brewing—visit the gardens and brew house to see what's on offer. Included in regular admission. 1-4 pm. June 25: Make Your Own Bitters Workshop—Pennsbury has partnered with Boardroom Spirits Distillery for this hands-on workshop. Bitters were thought to be good for one's health and were taken almost daily in the 17th and 18th centuries. Learn how these elixirs are made. Must be 21 or older. Cost is $20 (free for members); pre-register by calling 215/946-0400. 2-3 pm. June 24: Boot Camp Prep Class—designed as an adjunct to Boot Camp for Kids (August), this program will provide group instruction in close order drill, military etiquette, and the history of the 28th Division Shrine. Cost is $25 and includes lunch. Registration is required (info and form); contact Friends of the Military Museum for details. 10 am-3 pm. June 24-25: Closed to the public—as part of the State Museum's ongoing electrical upgrades project, the Museum and Archives will be closed to the public this weekend. The Complex will also be closed July 15-16. The June program page has info on upcoming events and programs. I've highlighted some of this weekend's offerings below. The State Museum of PA, in conjunction with Jump Street (a Harrisburg-based arts organization), has opened the 50th Art of the State Exhibit, which will run through Sept. 10. At the opening reception for the exhibit, prize winners were announced in five categories of artwork (photos of prize winners and scenes from the reception), selected from entries submitted by artists around the state (photo gallery of all finalists included in exhibit). Sunday, June 11, marked the 90th anniversary of the Lindbergh Special run. On June 11, 1927, the Pennsylvania Railroad's locomotive No. 460 raced an airplane from Washington, DC, to New York City. Both were carrying newsreel footage of a ceremony honoring Charles Lindbergh's successful nonstop solo flight from New York to Paris (completed on May 21, 1927). The race was to see which mode of transport could get the footage to theaters in New York first. The plane, even then, covered the distance faster, but the train carried its own darkroom, so the film was developed (look it up) en route and was ready for showing when the train arrived in NYC. The footage carried by plane still had to be developed when it reached the city. The 460 is now part of the permanent collection of the Railroad Museum of Pennsylvania, where it is on display in Rolling Stock Hall following a multi-year restoration project. It is destined to be on display in the Museum's new Roundhouse exhibit building, when it is completed. You can read much more about the project on the museum's website or in the Spring 2016 issue of Pennsylvania Heritage magazine. UPDATE: the museum has posted a short video from the dedication of No. 460 after it was restored. 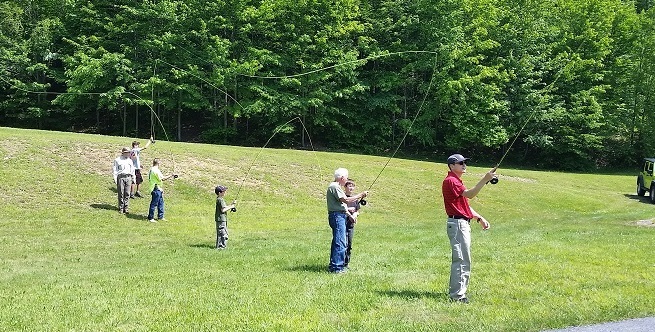 Last weekend, the PA Lumber Museum held a Youth and Family Field Day where participants learned outdoor skills related to life in the lumber region. While much of the museum's exhibitry and programming is focused on the history of lumbering, another focus is preserving a balance among economic development, environmental protection, and recreational use of the forests and other natural areas. The activity stations for the field day were staffed by instructors from the museum and other local organizations. 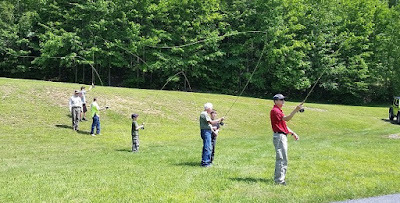 Site administrator Josh Roth reports that the instructors were pleased with how engaged the kids were and everyone seemed to have a great time learning new stuff and enjoying the outdoors (it was National Get Outdoors Day, by the way). One parent emailed on Monday to report that her son had enjoyed the day very much and was planning to return to the event next year (a sentiment expressed by a number of attendees. "He loved all the classes but seemed to pick up on Fly Fishing. We got home and he wanted to order a fly pole right away but I remember that his papa had a pole. I went digging and cleaned it all up for him. He practiced with that pole until 9:30 pm and then the next day went fishing! He didn't catch anything but it didn't matter to him, he loves it! Thanks Again!!!" I think you can consider that a rave review. For the third summer (I think), a team from the University of Maryland is holding an archaeology field school on site at Eckley Miners' Village. 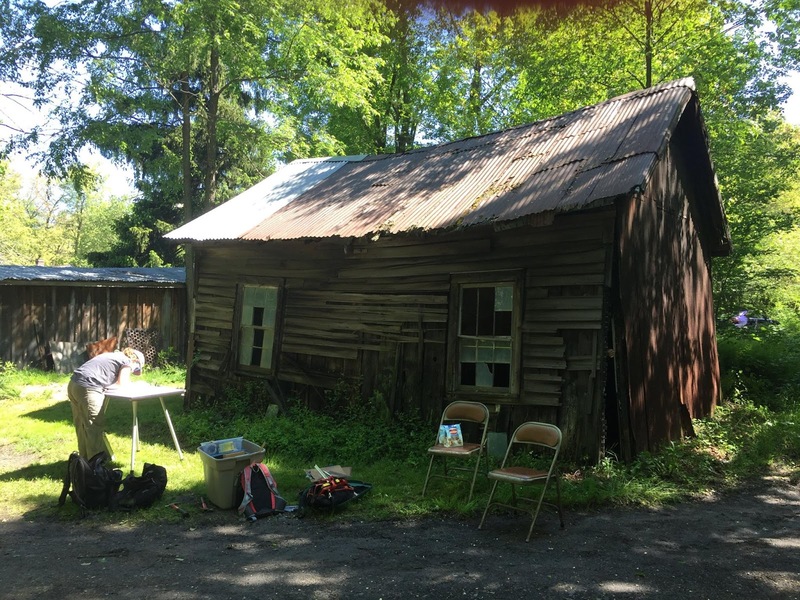 This year's crew, made up of students, faculty members, and volunteers, started above ground by documenting extant outbuildings. Site administrator Bode Morin reports that the team found 160 outbuildings still standing. Eckley shares info about the field school on its Facebook page, but the Eckley Archaeology Project also has its own Facebook page and a blog detailing their work. June 19 to 25 is #MuseumWeek, an international social media event showcasing museums, their collections, and the people who love them. The event started on Twitter but has expanded to include other platforms including Facebook, Snapchat, Instagram, and Sina (in China). The overall focus this year is Women in Culture (#WomenMW), and each day has a different hashtag (6/19 - #foodMW; 6/20 - #sportsMW; 6/21 - #musicMW; 6/22 - #storiesMW; 6/23 - #booksMW; 6/24 - #travelsMW; 6/25 - #heritageMW). We always have some participation from sites on the Trails of History, so be sure to follow your favorite site. As you'll see below, Old Economy Village is out in front, previewing their links to some of the hashtags. June 17: Community Picnic—enjoy live music, children's games, and battlefield tours. $4 fee includes museum admission and tours; there will be food trucks on site if you want to purchase food (or bring your own picnic). Noon-5 pm. June 17: Evening on the Green—this program includes colonial crafts and games, and live music by the Celtic Martin Family (more details on Facebook). Admission for this rain or shine event is $20 per car (free for FDBH members with membership card). Overall event time is 5-9 pm. June 18: Father’s Day—enjoy a day out with dad and explore a unique historic site. Dads get in free. Noon-5 pm. June 18: Living History Sunday—learn about "Fathers and Family in the 1700s," featuring Dr. Thomas Graeme. Interactive living history throughout the event with a brief talk at 2 pm. Noon-3 pm. June 18: Site open—Hope Lodge will be open the third Sunday of each month through October, with guided tours offered at 1 and 2:30 pm. Admission is charged. Free admission today for dads, in honor of Father's Day. 1-4 pm. June 17: Saturday Spotlight—Niceties and Necessities. Included in regular admission, so please start at the Visitor Center. 10 am-5 pm. June 17: Brews & Bites at Pennsbury Manor—sample beers from Philadelphia-area craft brewers and enjoy food, musical entertainment, and demonstrations of historic beer brewing. The event page has info on ticket options; tickets are on sale now. Must be at least 21 to attend. 4-8 pm. June 18: Sunday Programming—June 18: Open Hearth Cooking—the cooks will prepare 16th-, 17th-, and 18th-century recipes to explore how cooking techniques were evolving. Included in regular admission. 1-4 pm. June 18: 3rd Sunday Program—dads get free admission today in honor of Father's Day and this month's 3rd Sunday Program is a documentary about Gifford Pinchot, considered one of the fathers of American forestry. Museum is open 9 am-5 pm; documentary showing is at 1 pm. June 17-18: Guided Tours—on June weekends, the 1 pm guided tour is included in regular admission (normally an additional charge). June 17: Buzzcut Saturday—just what it sounds like. Start the summer with a traditional boot camp haircut. Donations accepted or free with museum admission. 10 am-3 pm. June 16: Free Summer Friday—throughout the summer, museum admission will be free on Fridays. Learn at Lunchtime programming will also be offered (program details). Museum open 9 am-5 pm, lunchtime programming 12:15-12:45 pm. June 18: Victorian Dance Ensemble—the performing troupe of the Civil War Dance Foundation will present demonstrations of period costume and dance. Museum admission is free. The museum is open noon-5 pm, dance demos at 1, 2, and 3 pm in Memorial Hall. The June program page has info on events and activities on the Trails of History through the end of the month. Tomorrow, June 10, is National Get Outdoors Day. I know, it snuck up on me too. Always does. I read about it in the electronic newsletter of the PA Parks and Forests Foundation. I was reminded of a tourism study from last year (I think) that showed that people who like to do outdoor activities also seem to really like exploring history (going to historic sites, etc.). And that made me think about how many sites on the PA Trails of History offer some of both to the public. Many of our sites have beautiful grounds and parkland that people enjoy just for the sake of being outdoors. They may not even think about the history nearby. And many of our sites are looking for ways to gently remind those folks about the work and investment (of public and private dollars) it takes to maintain the grounds and preserve the history. But I digress. Increasingly, staff and volunteers at PHMC sites are working with colleagues at state parks, which are part of the PA Dept. of Conservation and Natural Resources (DCNR), to provide the public with experiences that satisfy or nurture historical curiosity alongside an appreciation of nature and of sustainable ways to interact with nature. (You may know that in early 2016, Washington Crossing Historic Park formally moved from PHMC's portfolio to DCNR's although it remains part of the PA Trails of History.) Recently, two programs came across my radar that reflect the cooperation between the two agencies. 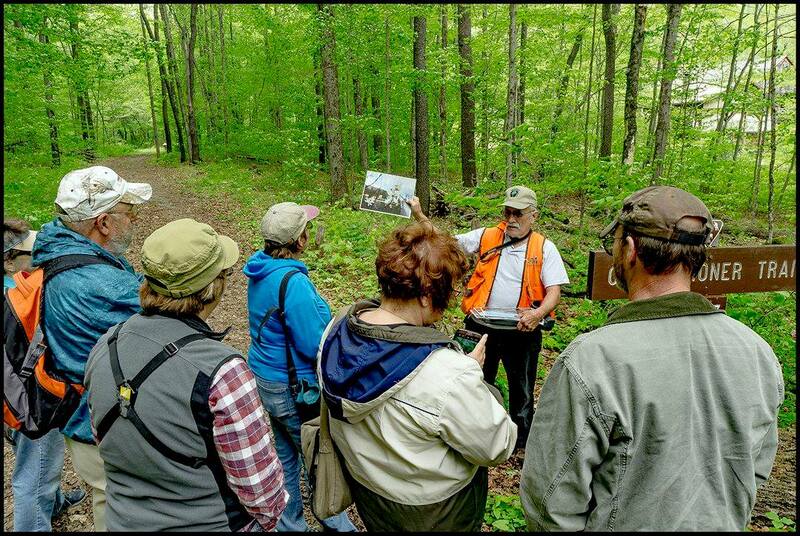 Last Thursday, as part of a program series geared to older adults and retirees, staff from Nescopeck State Park in Luzerne County teamed up with staff from Eckley Miners' Village. Attendees toured the village, learning about the history of anthracite mining, life in a patch town, and features of the natural landscape. Eckley has also been working to regularly interpret (through graphics panels on the grounds) natural features and the geology of coal, as well as attracting outdoor enthusiasts using the newly expanded Rails-to-Trails project connecting the village to Hazleton. In a different vein, The State Museum of PA's popular Story Time program moved outside last week to take advantage of some tree-shaded areas outside the museum. Living History Series—today's focus is the Ft. Pitt Fife and Drum Corps. Noon-4 pm. Saturday Spotlight—19th-century Foodways: Bread-baking and Cooking. Included in regular admission, so please start at the Visitor Center. 10 am-5 pm. Youth and Family Field Day—this event, which runs 9 am-4 pm, is geared for students between the ages of 10 and 16, accompanied by an adult family member. Qualified instructors will teach a variety of outdoor skills: Wildlife Identification, Turkey Lore/Calling, Archery, Pellet Shooting, Astronomy (observing the sun through a special telescope), Fly Casting, Trapping, and Tree Identification. Thanks to sponsorships, this event is free, but registration is required. Registration closed yesterday, so if you're interested you must call TODAY, June 9, to see if space is available. Historical and Nature-related Programs—environmental educator Katie Scott will lead a river's edge bird-watching session, 8:30-9:30 am (meet at the visitor center), and staff from Bucks County Library (Yardley branch) will offer storytime and a nature activity for kids of all ages, 2:30-3:30 pm in the picnic area across from the visitor center (visit Washington Crossing's events page for more information. Ephrata Cloister is participating in the Ephrata Public Library's "Get Outdoors" program, as one of the stops on the program's landmarks scavenger hunt. Kids and their families use a map to visit parks and other outdoor venues in and around Ephrata. Each stop has a post with a metal symbol on top that is used to make a rubbing on the map. Ephrata Cloister's post represents a post office. For more information visit the project website. The June program page is now up and running. Even for those of us who don't have kids in school and whose school days are long behind us (show of hands? ), the end of the school year signals the beginning of summer. Plus it's now hurricane season, so that counts as summer as well, even though the solstice isn't until the 21st. Summer is the busiest time of year for most sites on the Trails of History. You'll find lots of programs, summer camps, craft workshops. It's a great time to take advantage of outdoor activities at sites, exploring gardens and trails and enjoying numerous festivals. The June program page will get you started with this month's activities, but find your favorite site on social media to get a look at the whole summer. The Trails of History participate in the Blue Star Museums program, which runs from Memorial Day through Labor Day, providing free regular admission for active duty military and their families. Actually the Trails of History offer that deal all year, so if you know folks who qualify, please be sure to point them in our direction. Family museum pass programs are available in several parts of the state. While details vary, families can check out a pass good for free general admission and hold onto it for a week. It's a great way for families to explore their local museums. At least one of our sites also noted that the pass had encouraged older visitors as well. Erie Maritime Museum passes are available through the Erie County Library System. Pennsylvania Lumber Museum passes can be found through the Potter-Tioga Library System and the S.W. Smith Library in Port Allegany. Ephrata Cloister, Landis Valley Village and Farm Museum, and the Railroad Museum of PA are all part of the Library System of Lancaster County Family Museum Pass program. Check it out! While visiting our sites during the summer (or anytime), we love it when you share your photos. You can do so via sites' Facebook pages or Twitter feeds; some are on Instagram as well. There are often also local or regional opportunities, such as the summer 2017 Bucks County photo and video challenge, promoted here by Pennsbury Manor. Today, June 2, 11 am-4 pm, the Railroad Museum of PA is hosting a blood drive in cooperation with the Central PA Blood Bank (details). In addition to the feeling of doing good for others, donors will receive one free adult admission to the museum and a pair of ticket vouchers for a Lancaster Barnstormers home game during the current season. If you're in the central PA area but can't donate today, visit the blood bank's website for info on additional opportunities. June 8 is the deadline to register for the Lumber Museum's free Youth and Family Field Day, scheduled for Saturday, June 10. You can find more info and registration details on the museum's Facebook page. Did I mention the event is free? But, you must pre-register. Today through June 8, the Cinemark Tinseltown in Erie will run a promo for daysails on the U.S. Brig Niagara before all movie showings. Enjoy!